Home Arts & Entertainment Comic Con News: More of a Drizzle than a Storm Edition. Comic Con News: More of a Drizzle than a Storm Edition. 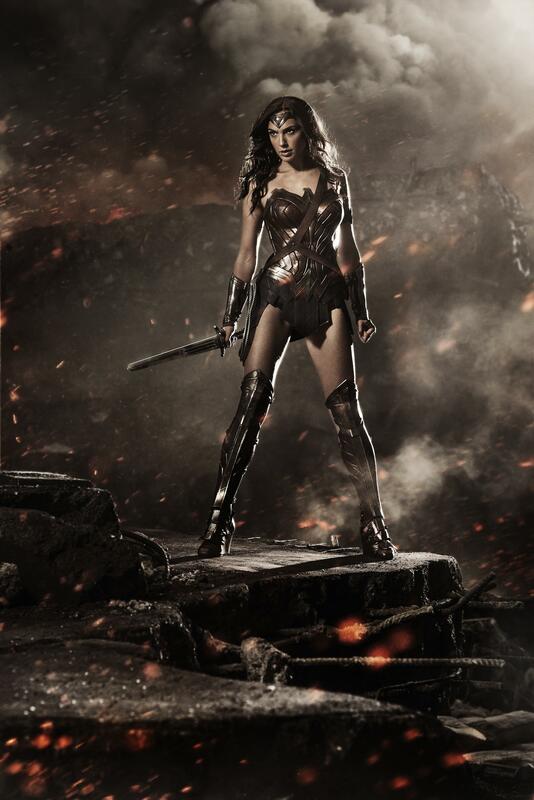 During a Warner Bros. panel, fans saw their first official look as Gal Gaddot dawned what will be Wonder Woman’s costume in Batman V Superman. The costume is fine. I have nitpicks about the boots, color, skirt and lack of shield, but it honestly may look better in motion. Really, I’m more upset about the lack of announcements that DC had for future film projects. With DC needing to catch up to Marvel, DC really needed to announce some big things in the works and unfortunately, they had nothing. Marvel reveals details for Ant-Man, Avenger: Age of Ultron, and Guardians of the Galaxy 2. 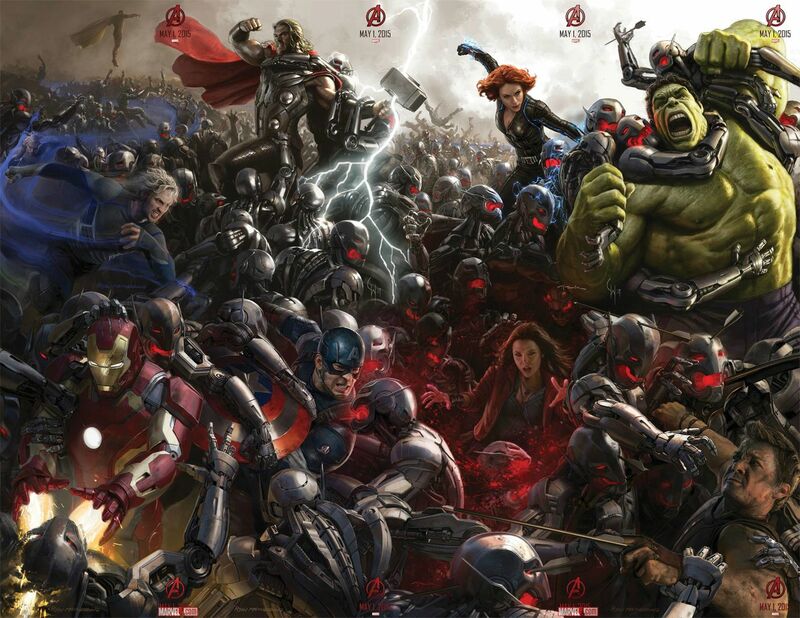 The first details for Ant-Man and Avengers: Age of Ultron were unveiled during a Marvel Studios Panel at Comic Con. Ant-Man, set for a July 17 release, will be about Michael Douglas’s Hank Pym training Paul Rudd’s Scott Lang to be the new Ant-Man. The roles of Evangeline Lilly and Corey Stoll have also been revealed along with an official statement from Marvel. Peyton Reed, Ant-Man’s new director, also showed off a couple of small clips; one featuring Douglas coaching Rudd on his new-found powers, and another of Rudd trying to ride an ant. That footage hasn’t made it online yet. Next was Avengers: Age of Ultron where the entire cast was onstage. Small details were talked about including Paul Bettany, previously voicing Stark Tower’s super computer. A.I. Jarvis, will now lend his voice to Android Avengers member, The Vision. First look at Age of Ultron was shown featuring a creepy eight-foot tall Ultron, Hulkbuster Armor Iron Man, and new Avengers members Quicksilver and Scarlet Witch showing off there powers. Also, as of this writing, no footage has hit online. The biggest announcement was that the Guardians of the Galaxy sequel is already fast-tracked with a July 28, 2017 release. With six unannounced films announced from Marvel Studios, the word was that Marvel was going to announce some big stuff. While the reveal Guardians of the Galaxy 2 is big, the lack of any news on Captain Marvel, Doctor Strange, Black Panther and other films was very disappointing. Along with no word on Marvel’s Netflix deal, it felt like a very safe showing from Marvel. During its panel, Legendary Pictures revealed plans on a sequel to Godzilla that again will be directed by Gareth Edwards. The currently untitled Godzilla Sequel is still a ways off with Edwards’ next film being a currently untitled Star Wars Spinoff that has a December 16, 2016 release. The current plan is to see Godzilla battle fan favorite monsters Mothra, Rodan and Ghidorah. Evil Dead creator Sam Raimi is teaming with The Last of Us writer/director Neil Druckman for a live-action adaptation. The Last of Us was released in 2013 for the PS3 and told the story of Joel and Ellie as they travel a post-apocalyptic wasteland plagued by infected humans and dealing with the horrors that come with it. Druckman said that the only reason that The Last of Us developer Naughty Dog agreed to this was that Screen Gems has given them final say on director and stars. Druckman is also penning the script. This movie looks boss. Defiantly going to be on my radar next year. Looks like Kevin Smith finally discovered The Human Centipede. Being that I haven’t finished Season 2 of Arrow, I’ve stayed away from most of the news surrounding season 3. Looks like they may introduce The League of Assassins which could be fun, but the League is more of a Batman thing. It would be more fun to see them explore more of Arrow’s rogues like Onomatopoeia. 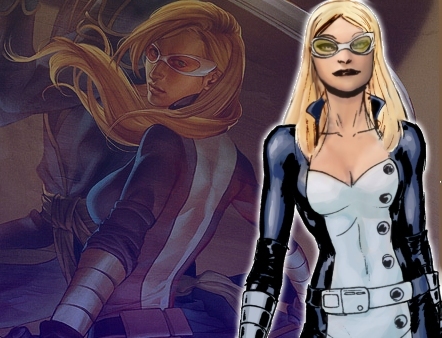 Marvel’s Agents of S.H.I.E.L.D Teaser Hints at Mockingbird. Other Roles Revealed. Before the start of Marvel’s Agents of S.H.I.E.L.D panel, a video featuring S.H.I.E.L.D star Patton Oswalt played, introducing the crowed and thanking them for coming. During the video, Oswalt hinted S.H.I.E.L.D agent Bobbi Morse, aka Mockingbird, would be joining the team sometime this season. Also revealed at the S.H.I.E.L.D panel, Lucy Lawless was revealed to be playing long time S.H.I.E.L.D. veteran, Isabel Hartly and the major villain will be Kraken, played by Franklin and Bash actor, Reed Diamond. Kraken is the leader of Hydra, the organization that’s be bringing serious trouble to the greater Marvel Universe. During Screen Gems Panel Friday night, Evil Dead creator Sam Raimi — alongside series contributor Bruce Campbell and Ted Raimi — revealed that an Evil Dead TV show is in the works. With no network or start date announced, there are many questions surrounding this project. Is this a sequel to the 2013 remake of The Evil Dead? Is Bruce Campbell reprising his role of Ash Williams and in what capacity? Is a sequel to The Evil Dead remake still on the table? It’s seems like an announcement with no actual substance to it. Fans were shocked, including myself, earlier this week when Nickelodeon announced that Avatar: Legend of Korra Book 3’s final episodes would be airing online and not on network television. The network cited poor ratings as the cause of the cancellation. During The Legend of Korra Panel, show creator Brian Konietzko and Mike DiMartino talked about how this isnt a big change for Korra’s direction. “Legend of Korra’s numbers have been down on Nickelodeon for Book 3,” Konietzko said. But that the numbers have grown on Nick.com and Nickelodeon’s app. Starting August 1, Korra will air weekly on Nick.com, finishing up this season’s episodes. I have no what’s going on in this trailer, but it looks fine. I’m sure Halo fans are pumped. The biggest Marvel Comics line was the announcement for the newly acquired Star Wars license. Beginning in January, Marvel will launch three new titles featuring stories from the original trilogy. Star Wars, written by Jason Aaron and drawn by John Cassaday set after Star Wars: A New Hope and Star Wars: Darth Vader, by Kieron Gillen and Salvador Larocca, will also be set after A New Hope, but will be from the point of view of The Empire. Star Wars: Princess Leia, from writer Mark Waid and artist Terry Dodson, will be a five-issue mini with Leia dealing with the explosion of Alderaan. It’s unknown at this time if Marvel will explore the now-defunct, expanded universe of Star Wars, but if they wanted to jump start that line, Marvel chose some great creators who have all done A-list work for Marvel. Next articleThink for Yourself. Question Authority.